I know it's not graduation season yet, but I'm in one of those more-ribbon-than-ribbon-storage-space situations at the moment. And Penga-Bro is graduating this year and will need many, many leis! 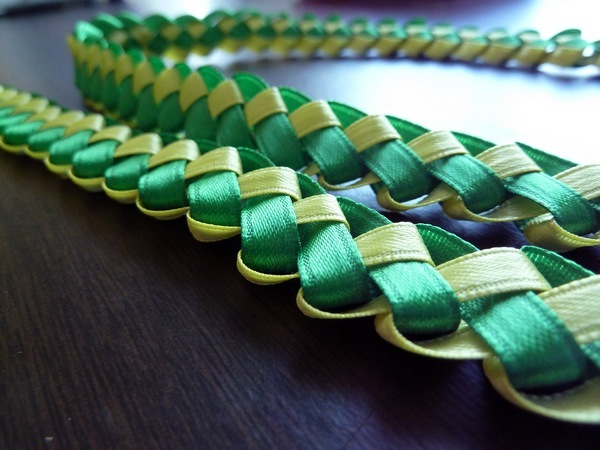 Anyway, let's try a braided lei design this time! 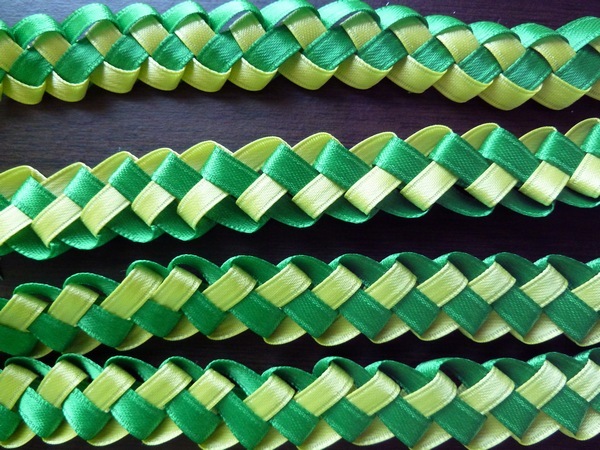 This method uses very little ribbon, so out of two spools (one green, one yellow), I was able to make two long leis! 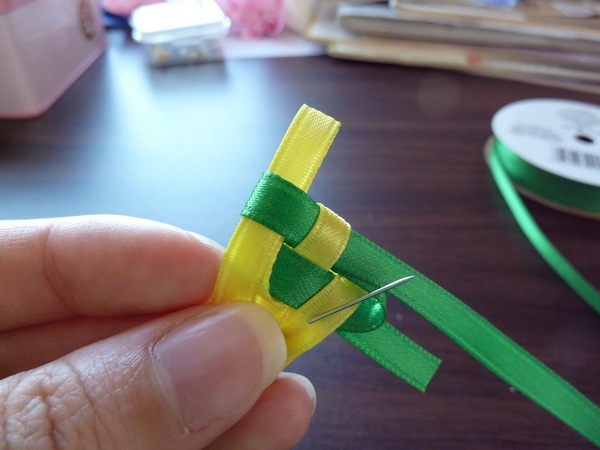 First, make a loop of one color (yellow in my case). 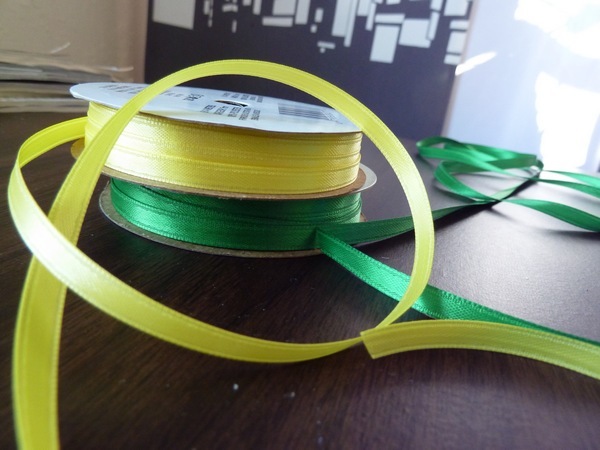 Don't worry about cutting the ribbon, just work straight off the spools. 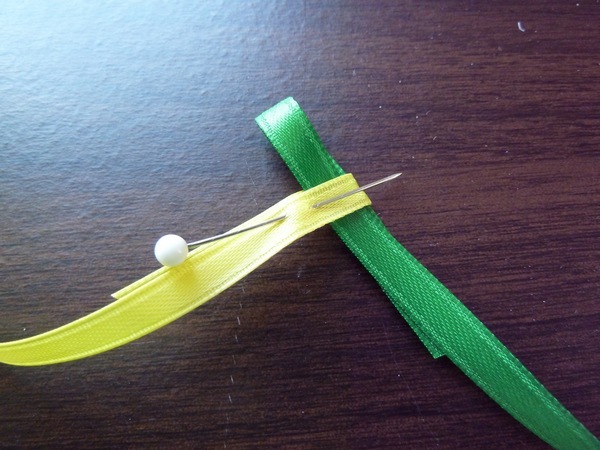 Then, make a loop of the other color (green), and stick it in the yellow loop. 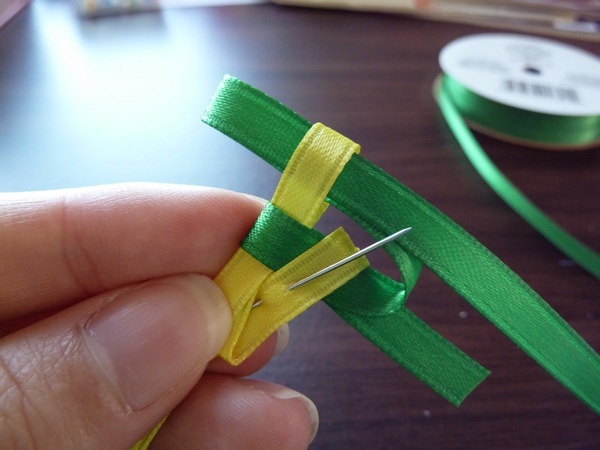 Fasten the yellow loop securely around the green, with a pin or some tape or something. 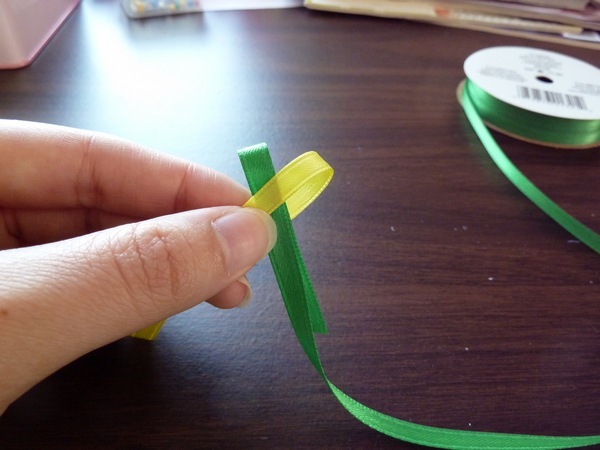 Next, make another loop with the yellow, and stick it through the green loop. 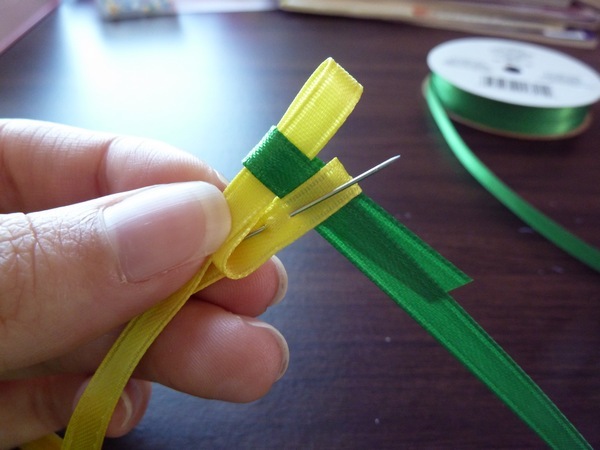 Now pull the green loop so that it holds the yellow loop tightly in place. 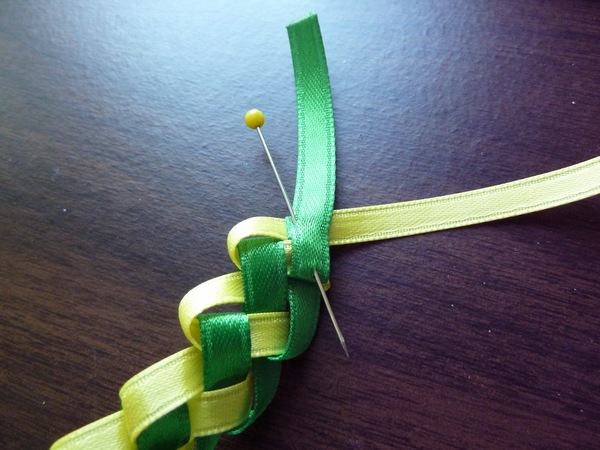 Make another green loop, and place it through the yellow. 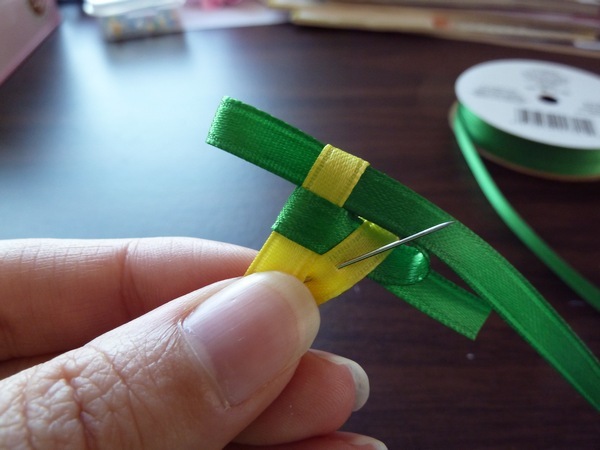 Pull the yellow loop to secure the green ribbon. And on and on and on until you have a nice long chain! For the end, I just sewed straight across, though hot glue would probably work as well. I just love the pattern! 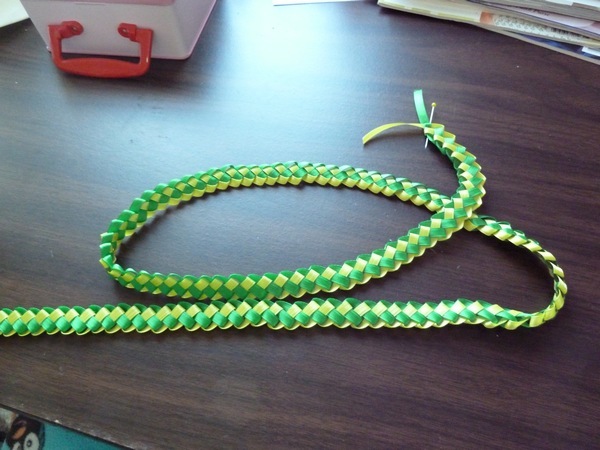 I made two strands, and sewed them both together at the ends for a big double-lei. Though not as easy as the other methods I've tried, this is definitely the fastest! Very cute! I need to devote more time to crafting - I really miss it! 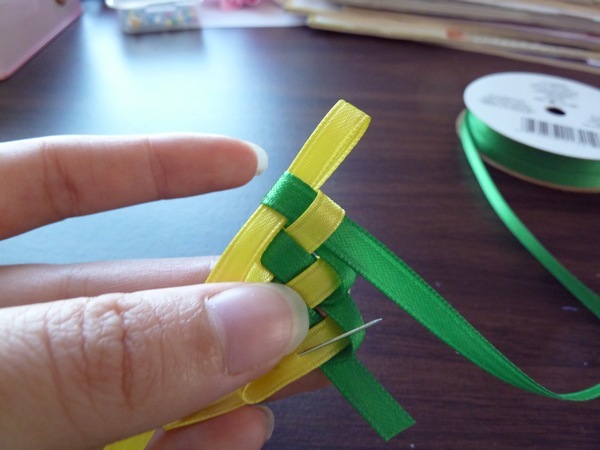 I jut learned how to make the woven ribbon headbands and they look a lot like this! I'm not sure how much you like headbands (they're a daily must for me, I'm too lay to do hair) but I could see you making a cute matching headband for your lei! Ohh that is an awesome idea! And what is this new reply feature? Ooooh...does it send you an email with my reply?? so cool! i love the colors you picked. even with your step by step instructions i wouldn't be able to make this but that's okay, it increases my awe of you. and that's what you want, isn't it? 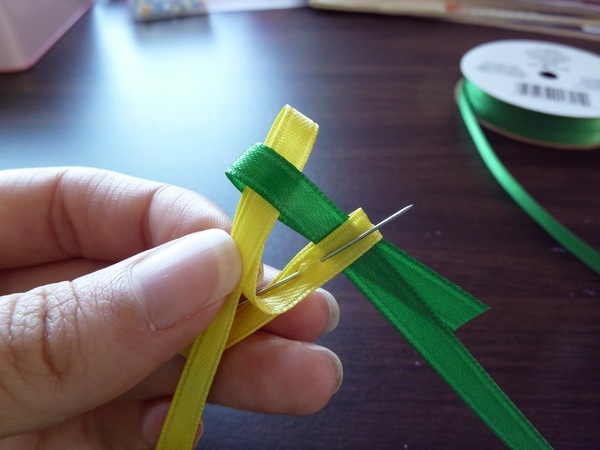 how many yards of each ribbon did you use? 10 yards of each color, sorry for the late response! 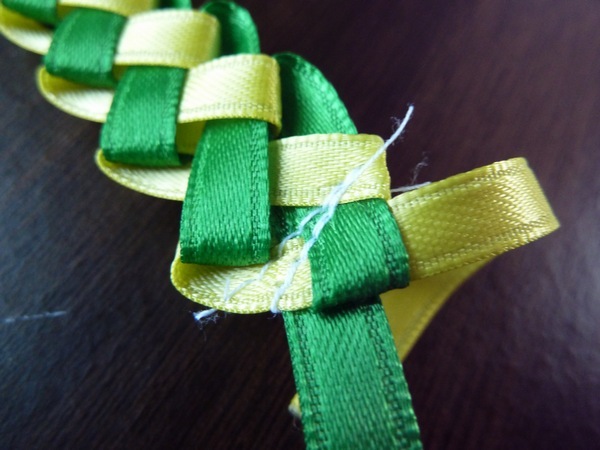 Do you know how to make this lei with more than just 2 colors? I don't, but I think it should be possible! 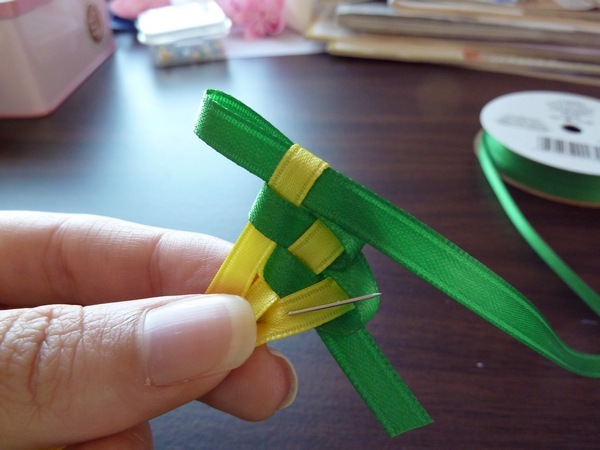 Ill have to look into that more..
Was the width of the ribbon you used 1/4 inches? Thanks! Was that 10 yards per color, per lei strand or for both strands? OMG i absolutely love your diy tutorials! im actually making 2 different kind of leis from your tutorial for my nieces graduation. I was wondering how do you keep it so in place (ive been struggling to get them so tight) like in the picture you have shown. thanks so much, love your work! Thank you for posting the instructions! When I was in Hawaii w/my daughter, she bought one and I wanted to learn how to do that so THANK YOU. My question...is there a way to have the beginning and end NOT show...looks like it is just ONE continuous braid? 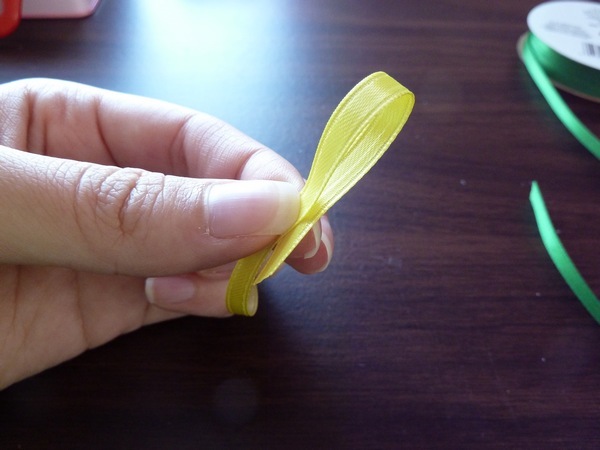 I have been wanting to learn how to make this particular lei. The pictur step by step made it possible. 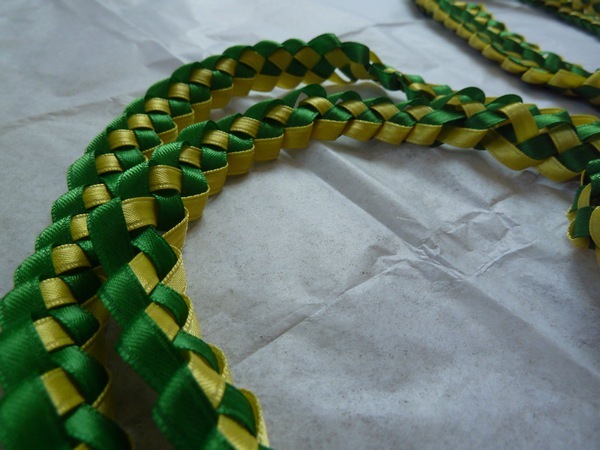 I have family members who will be graduating from HS and JHS and I will make each of them a lei. My niece is graduating from HS and is going to Disneyland with her class for grad night and looking for fund raisers. This may be an idea to sell to classmates. 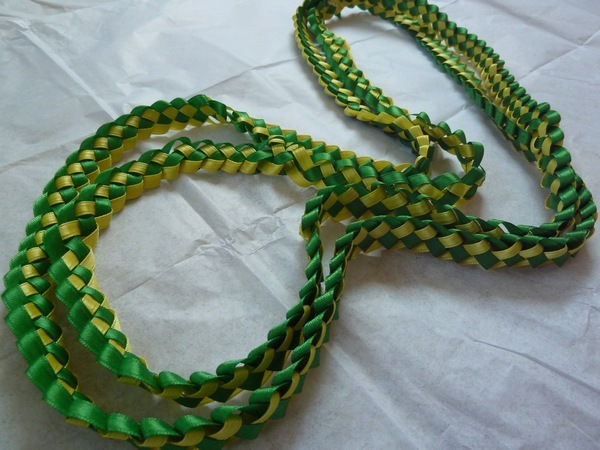 Is there a price you would recommend for a two color ribbon lei?